Will support for high-definition audio streams be enough to break Sonos’ iron grip on this market? Yamaha is the latest consumer-electronics manufacturer to challenge Sonos in the multi-room audio market, resurrecting its MusicCast brand to launch a whole new line of components for streaming music around the home. By year’s end, Yamaha says it will have more than 20 MusicCast products to offer, ranging from inexpensive powered speakers, to sound bars for the home theater, to high-end AV separates. 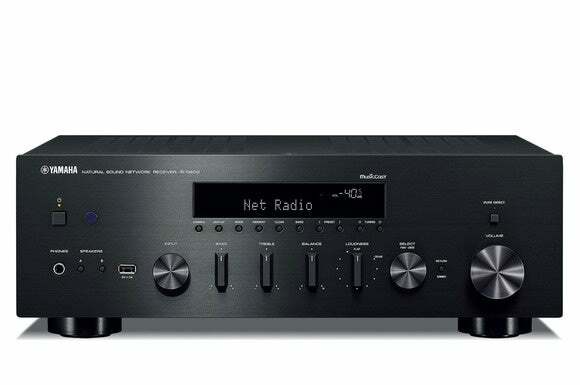 Owners of the some of the company’s most recent mid-range AV receivers will be able to add MusicCast support with a firmware update today. Yamaha is wisely exploiting one of Sonos’ few weaknesses: Support for high-definition audio. Where Sonos products can support audio bit streams with up to 16-bit resolution and maximum sampling rates of 48kHz (that’s roughly CD quality), Yamaha says its MusicCast will be capable of streaming 24-bit Apple Lossless files with up sampling rates up to 96kHz, and 24-bit FLAC, AIFF, and WAV files with sampling rates as high as 192kHz. Most MusicCast models will also support “single-device playback” of DSD streams up to 5.6MHz. (DSD—Direct-Stream Digital—was developed by Sony and Philips for the Super Audio CD platform. SACD was introduced in 1999, and never achieved mainstream commercial success, but it is prized by audiophiles for its fidelity.) Yamaha’s system can stream a DSD file over a wireless network to one MusicCast device—you won’t be able to link multiple units together in this mode. Other codecs—including MP3, WMA, and even MPEG4—will also be supported. 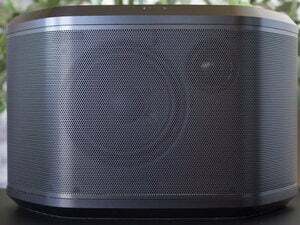 Yamaha’s WX-030 speakers, $250 each, will be its entry-level MusicCast component. MusicCast will operate on your existing wireless network, but it will support only 10 zones. That’s more than enough for most homes, but a Sonos network can support as many as 32 zones (more if some are hardwired). 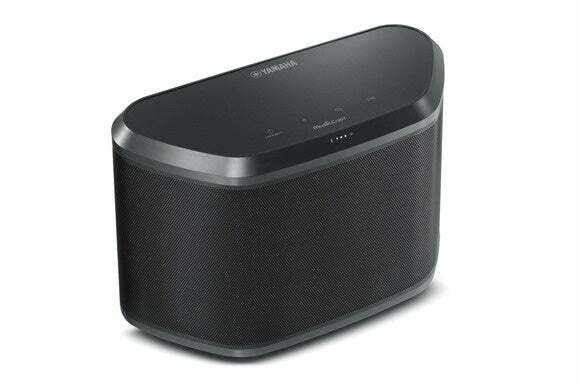 Unlike Sonos, however, Yamaha says all MusicCast products will also support streaming music over Bluetooth 2.1+EDR (Enhanced Data Rate): From a Bluetooth device (such as a phone or tablet) to a MusicCast product, and from a MusicCast to a Bluetooth product (headphones, speakers, etc.). There is no support, however, for the popular Bluetooth codec AptX codec. 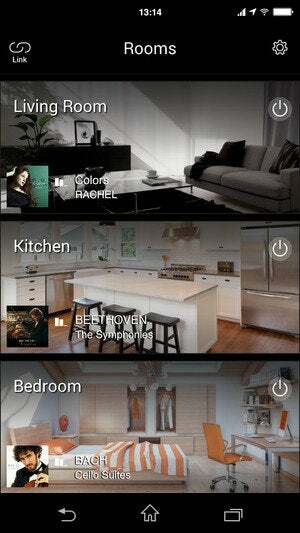 Yamaha’s MusicCast system can stream music to up to 10 rooms, which can be linked or set to play different music. MusicCast is controlled by a smartphone/tablet app that will also tap into streaming-music services such as Pandora, Rhapsody, Sirius XM, and Spotify, as well as a broad range of Internet radio stations via vTune. Other services, such as Apple Music and Tidal, presumably fall into the “and more to come” category that Yamaha mentions in its press materials. Yamaha also points out, however, that support for Bluetooth means you can use any streaming service you want, provided you don’t mind tying up your smartphone or tablet. As with a Sonos system, you’ll be able to play different music in each room, or link rooms together so they’re playing the same music (with the DSD exception I mentioned earlier). Being able to keep multiple rooms playing the same music tightly synchronized is an area in which Sonos excels, so it will be interesting to see how Yamaha fares on this count. The app will also be able to access music stored on devices that are connected to MusicCast products. Yamaha mentions turntables, CD players, and game consoles, so I presume this means the music from those sources can stream over the MusicCast network, but I don’t think the app will be able to control those sources barring something really clever (such as support for CEC over HDMI). 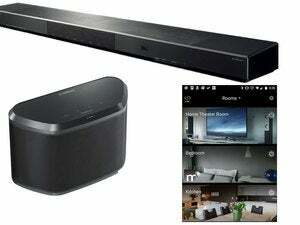 Yamaha plans to introduce a MusicCast Sound Bar (the $500 YSP-1600) and a MusicCast TV Speaker Base (the $600 SRT-1500) in September. Both of those speakers will include Yamaha’s excellent Digital Sound Projector technology, which delivers true surround sound using multiple speakers inside a single cabinet. It’s been a while since I heard one of Yamaha’s YSP speakers, but my last experience was marvelous. 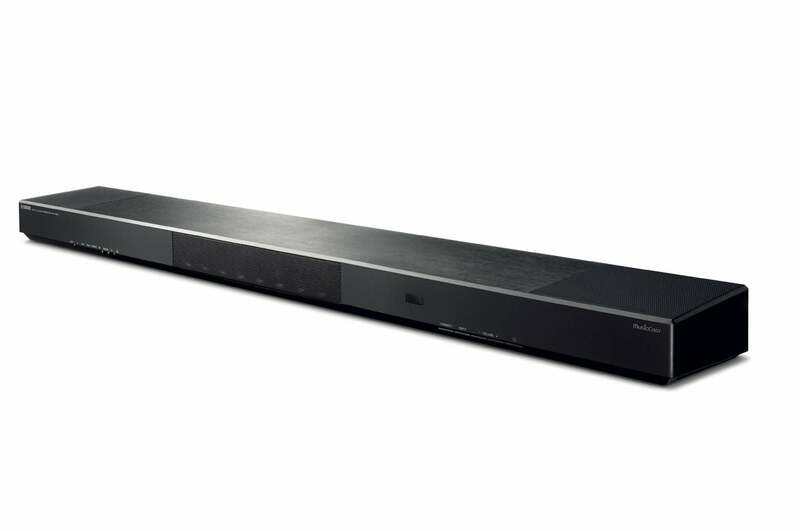 December see the introduction of the MusicCast Sound Bar (the $1700 YSP-5600), which will support both Dolby Atmos and DTS:X technology. Each of the sound bars will be outfitted with HDMI 2.2 to support 4K TVs and sources. The Yamaha YSP-1600 sound projector will support MusicCast for music as well as Dolby Atmos and DTS:X for home theater. If all that’s too rich for your blood, Yamaha will ship the stand-alone MusicCast Wireless Speaker, $250 each, in October. This will be a two-way design (woofer and tweeter), with a large passive radiator to increase bass response. It can be set on a tabletop or hung on the wall using the thread mount in the back of the cabinet (provide your own brackets). If you find those speakers too low-fi, Yamaha will ship its NX-N500 powered monitor speakers in December ($800 per pair), or you can pick up the $650 R-N602 dedicated MusicCast receiver in October and provide your own speakers. If you already own one of Yamaha’s recently launched RX-V 79 or Aventage RX-A 50 Series AV receivers, you can install a new firmware update today that will add MusicCast support. And finally, for those who crave separate components, Yamaha will ship its $3000 Aventage CX-A5100 preamp/processor in September. This companion to Yamaha’s monstrous MX-A5000 11-channel amplifier (also priced at $3000) will add Dolby Atmos and DTS:X support, HDCP 2.2, and balanced subwoofer outputs to that receiver’s bag of tricks. 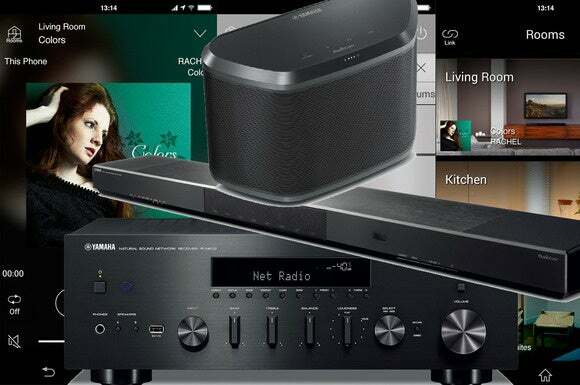 Set up Yamaha’s R-N602 MusicCast receiver and you can supply your own speakers. The multi-room audio space is getting increasingly crowded, but Yamaha’s product announcements look compelling—to me, anyway. It will be interesting to see how much traction the audio company gains with consumers who seem increasingly satisfied with listening to low-fidelity music. Sonos’s least-expensive speakers sell for $200, and not a few friends and family have told me they think that’s too expensive. I look forward to reviewing several components in Yamaha’s MusicCast ecosystem, so stay tuned!